This is brilliant and inspiring! Two high profile business oriented events focusing on mindfulness, meditation, compassion and spirituality in business are making waves in the States. One of my passions and areas of interest is the cross over between spirituality and business. Too often these are (artificially) seen as two separate and distinct realms. Now the illusory divide is collapsing, which is great to see. The Wisdom 2.0 are Being Human conferences are mixing business and ancient holistic wisdom including meditation and mindfulness. They are attracting major players in the Tech industry including Google, Twitter and Cisco and are highly popular and expected to sell out. Talks include “Ancient Wisdom and Modern Life” given by eBay Inc. founder and philanthropist Pierre Omidyar, and “Wisdom-based Practice and Leadership” with Cisco Chief Technology Officer. 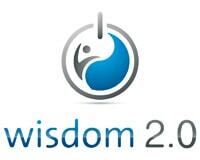 Awakened teacher and author Eckhart Tolle is a key note speaker at Wisdom 2.0. What was once considered fringey is rapidly becoming mainstream. The innovative early adopters are well and truly embracing these new approaches to business. So much so that I found out about these events in article in the Wall Street Journal! Expect what is happening over there to reach our shores too. Read a short article about what is happening here.